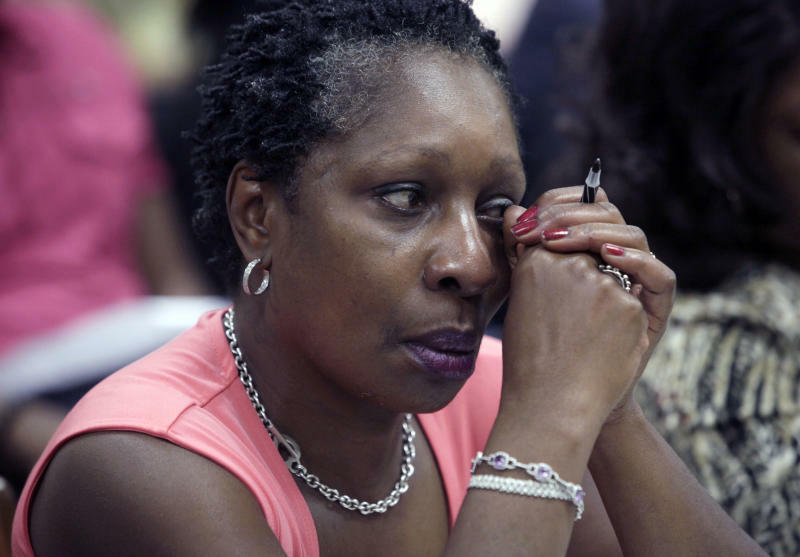 RALEIGH, N.C. (AP) — The first serious proposal to compensate victims of forced sterilization failed Wednesday when North Carolina legislators said they were not approving any money for them. One ardent supporter declared: "At this point, I have lost all hope." Most states had eugenics programs but abandoned those efforts after World War II when such practices became closely associated with Nazi Germany's attempts to achieve racial purity. Scientists also debunked the assumption that "defective" humans could be weeded out of the population. The N.C. Justice for Sterilization Victims Foundation held numerous public hearings over the past year on whether to compensate the victims and how much to give them. At the hearings, victims voiced the pain of being sterilized and said their anger hadn't abated with time. "That's the only thing I hated about being operated on, 'cause I couldn't have kids," Willis Lynch, 77, who was sterilized at 14, said at a hearing last year. "It's always been in the back of my mind." Democratic Gov. Beverly Perdue set aside $10 million in her proposed budget for the victims. She had the backing of Republican House Speaker Thom Tillis, but couldn't muster support from key Republican senators. The compensation was considered a failure when legislators agreed to a state budget plan that didn't include any money for the victims. The budget plan still needs approval from both chambers. Any compensation would need to be in that package. One of the measure's biggest supporters, Democratic Rep. Earline Parmon, said she was ashamed to be a part of the General Assembly. "I'm appalled that the North Carolina Senate today took no action to compensate the victims that we as a state robbed of their rights to reproduce and to have children," Parmon said. "At this point, I have lost all hope." "The state has no money anyway and the teachers would like to have a pay raise, and state employees would like to have a pay raise and you're dealing with a $250 million shortfall in Medicaid," Allran said. Republican Sen. Don East said last week that money would not change anything. "You just can't rewrite history. It was a sorry time in this country," East said. "I'm so sorry it happened, but throwing money don't change it, don't make it go away. It still happened." Riddick said she planned legal action, but she has already been to court once. In 1983, a jury rejected victims' claims that they had been wrongfully deprived of their right to bear children. Ultimately, the U.S. Supreme Court decided not to hear the case. "I have given North Carolina a chance to justify what they had wronged," she said Wednesday. "These people here don't care about these victims. ... I will die before I let them get away with this."